Play Blackjack Single Deck for real! Although many reviewers would indicate Blackjack Low Limit as the game perfect for beginners, I would personally recommend Single Deck Blackjack Low Limit. There are two reasons why I recommend Single Deck Blackjack Low Limit. First of all the payout of Single Deck Blackjack is the highest of all games with 99.83%. This doesn’t leave much room for the house to win with only 0.17%. 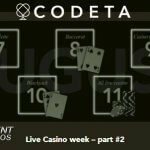 This on the other hand is totally normal with table games, as Blackjack offers a payout of 99.75%, while Roulette leaves more space for the house to win with a payout of 97.30%. 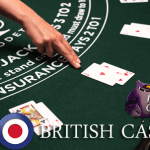 Although these numbers probably don’t make sense to beginners, you can trust me when I tell you Single Deck Blackjack has the best payouts of all table games and this is can be a big advantage for you as a player. The second reason I recommend Single Deck Blackjack Low Limit is because of the betting options attached to this table game. They are the lowest of all Single Deck Blackjack versions with a minimum bet of 0.10 and a maximum bet of 5.00. perfect for beginners, although players who like to play for fun will most likely prefer these kind of bets too. 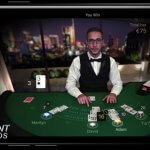 Another option would be Blackjack Double Exposure Low Limit, because this online blackjack version shows both dealer’s cards, another nice advantage for players aren’t familiar with the blackjack rules yet. To take advantage of the low house edge , you have to make sure that you understand a good basic blackjack strategy first, otherwise, it doesn’t really matter how many decks you’re dealing with or how many cards a dealer is showing, if you don’t get the game, you’ll lose. 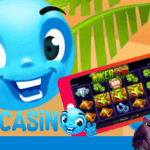 Considering the skills involved playing blackjack, no matter if online blackjack or in a casino, this game can’t be called a 100% game of chance like video slots are for example. The more you play, the better you get, simple as that. 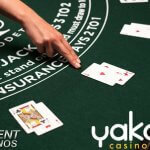 Some online blackjack tips could help as well as, but the best way to learn, is by doing it. This definitely counts for online blackjack, whereby it doesn’t matter is you play Single Deck Blackjack Low Limit or Blackjack Low Limit, the principles stay the same. Both, you and the dealer get two cards and if neither of you have a Blackjack, the game moves on. If there is a Blackjack involved, the one with the Blackjack in hand wins and a new game can be started. When the game moves on, it’s up to both to come as close to a Blackjack as possible, but without exceeding the amount of 21. With you starting, the most important part of blackjack is to stay below the 21 points. If you don’t manage the game is over, no matter what the cards would have been for the dealer. If you are far away from 21 points, I advise to go for Hit, which means you’re asking for another card. Click Stand to remain at your current total. Ask for even more cards when you’re still far from the 21 points, but make sure you will not exceed this number. 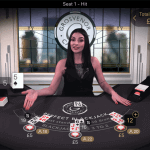 If not exceeded the 21 points and choose to Stand, the dealer will then turn over his invisible card. Just like you could before, also the dealer can now draw another card, though depending on the total of his hand. Here lies your advantage as a dealer must hit on soft 17, a combination involving an ace card. This means the dealer must take another card when he is having 17 points or less, no matter if an ace is involved or not. If the dealer exceeds the total amount of 21, you win. If no one gets busted, the total amount of the cards will show the winner. The one with a total closest to 21, will win the game. Choosing the Low Limit version of Single Deck Blackjack gives you the perfect opportunity to become familiar with the above. If the game doesn’t make sense yet, you can choose to start with the lowest bet of 0.10 per game, which can steadily be increased, the moment you start to understand this Blackjack game and winnings start to flow in. The maximum bet available while playing Single Deck Blackjack is 5.00. The moment winning strikes are a fact, you can choose to play Single Deck Blackjack (standard version), offering bets between 1.00 and 40.00. Blackjack is for everyone, no matter if the game doesn’t makes sense for now, it slowly will the moment you start playing the game while Blackjack Single Deck is perfect version to start with.